The warkey++ 6.6 EN doesn’t effect the chat system (will automatically disable warkey when typing) and it is easy to use. 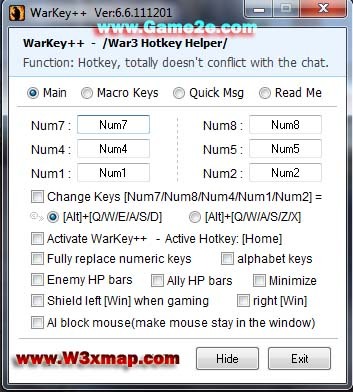 Warkey++ is suit to every gaming platform (Garena, Battle.net). Warkey++ is suit to professional match.